Just like to say how good this site is:) I have converted my c5 to a 24v version about 6years ago and it is great. Just looking for a new front wheel if anyone can point me in the right direction. Hi there and welcome to the website! Hi Dan, thanks for the reply.This may explan why the wheel has broken on the rim. There is a local bike wholesaler near me i woll give them a try. So a normal 12" wheel will be fine? Are you going to make any 3D printed gearbox drives:). hi, just seen them. i have a 12" front tyre, and it says its a 12" wheel with a 12.5" tyre and tube? so will my 12" tyre fit? 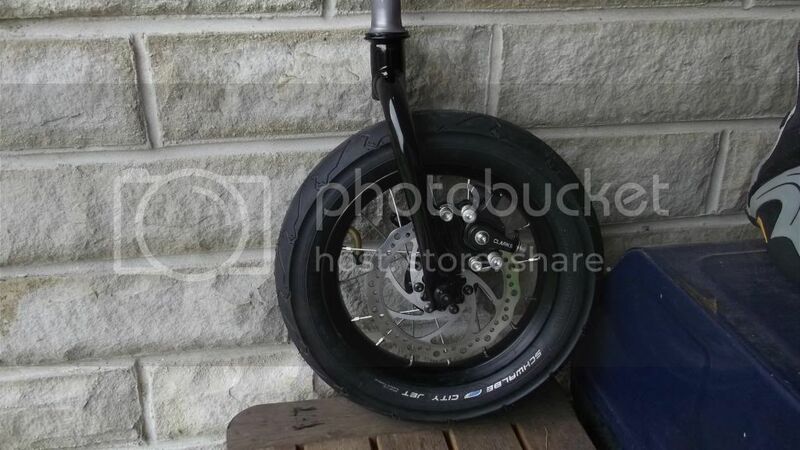 i have the schwalbe 12" front tyre so i want to keep this to match the rears. Hi, where did you get that wheel from? That's great Pep, thanks for the offer which I would like to accept, just let me know when you've done with them - liking your guess the picture medal Dave !! hi Guys, I got a wheel from that ebay seller and fitted it. Had to separate the fronts but got it in after abit of messing about. Kept my tyre as well as it fitted fine. It now stops a lot better and seems smoother over bumps at the front, so was a very worth while upgrade:) dont want to sell it now as ive just been zipping about on it and the lights work perfect as well.